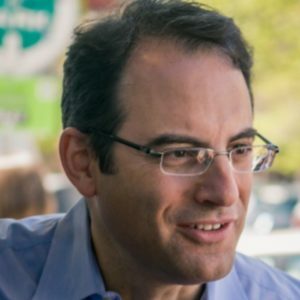 For all the kerfuffle around the vast amounts of money that Democratic Attorney General candidate Phil Weiser raised, it sure doesn’t seem to matter now. Of the over $1.4 million that Weiser raised, he now has a paltry $54,000 in the bank. Ouch. Even worse, Weiser spent $1.4 million to beat Rep. Joe Salazar (D-Foot in Mouth) by a mere one point. In case you missed it, PeakNation, Salazar had just under $125,000 to spend. If the maths are tough for you, Weiser spent more than 11 times his opponent to win by less than 10,000 votes statewide in a two-person race. That does not bode well for Weiser in the general. In addition to the fact that Weiser blew all of his cash on the primary and now cannot go back to max-out donors for additional cash, he has now irritated the Democratic base, also known as Bernie Sanders’ voters, so he’s going to have to do additional work to court them. Without any cash. And, let’s not forget that Weiser came out of his primary battered and bruised as it was revealed that he doesn’t even have the experience to do the job. Good luck, Phil. You’ll need it. Oh, and some more cash. You’ll need that, too.